Don't Panic over your Picnic! "Hey Boo Boo, let's go get us a pic-a-nic basket!" I couldn't agree more with the famous Yogi the Bear, especially now that we are getting into the warmer months of late spring/early summer. 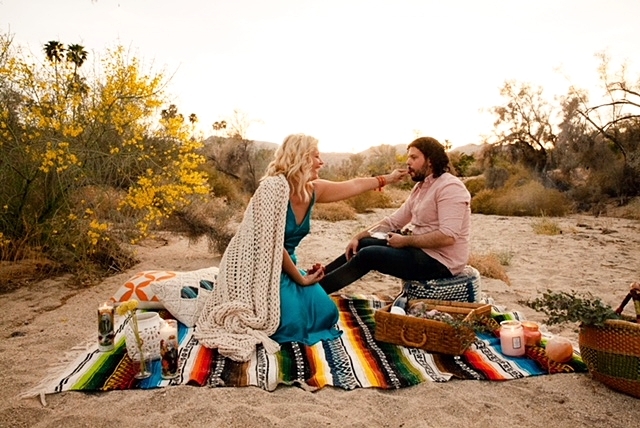 Picnics have been around for centuries, deriving from the french word "pique-nique", a term used for people who would bring their own wine to restaurants. 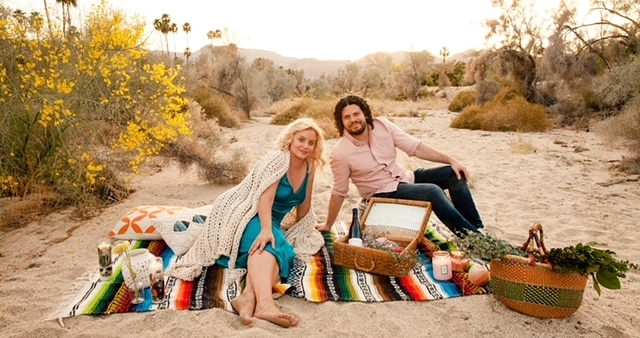 My husband and I recently had an amazing picnic in the desert and the items that were most useful to us, ironically, were the last things on our minds. Many of us love to dine Al Fresco (outside) but we always forget a few items on our list that are essential to throwing a pretty picnic. Before you toss in the charcuterie, check out the items that always slip our minds and baskets. 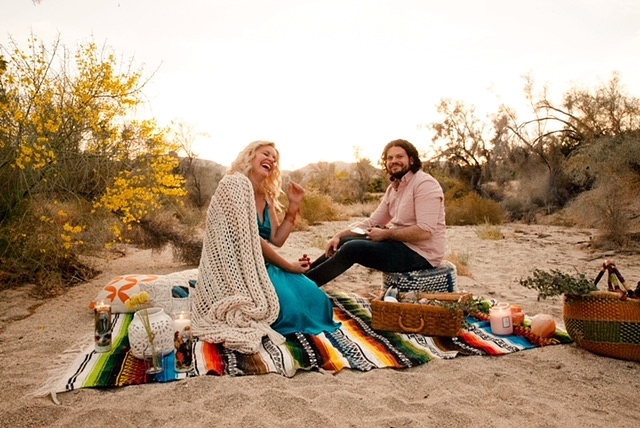 Our Picnic in Palm Desert, California! Bug Spray- No bugs allowed! These little creatures are hungry too and want to eat you alive. My personal favorite spray is The Honest Company Bug Spray- $13. You can just order it on Amazon and zap em away! Bottle Opener- Attention Winos! You would be doing yourself a disservice if you forgot a bottle opener! Be sure to check this one off your list! I have forgotten this in the past and it wasn't pretty! LOL. Music Speakers- Music is perfect to set the mood for the picnic. I often resort to Frank Sinatra or Washed Out. I always bring my UE BOOM 2 for my gatherings. The quality of sound is great and it's super easy to use! Collapsible Food Tents- Bugs love to congregate around your food and these amazing tents help prevent them from getting in. You can get 4 of them for $15! Sunscreen- this seems like a no-brainer but honestly, many of us forget those terrible UV- Rays! My go-to item is Sun Bum SPF 50-$13! Cutting Board- if you're intending on serving up something special, don't forget the cutting board. It is a great item we often forget that can be very useful for fruits, meats, and assorted cheeses! Multi-Purpose Wipes- ditch the napkins and bring these along! Great for wiping hands pre-meal, sticky fingers post meal, and wiping down any dirty trays for serving! A great purchase for this is Clorox Disinfecting Wipes- $13! Long Lasting Ice Packs- if you don't have access to an insulated cooler, you can pop a few of these inside your basket or bag and they will keep the food chilled all day and aren't heavy! The best are the Cooler Shock Ice Packs- $20 for 4! They are reusable! Paper Weights- Don't blow away! Keep your weight down with amazing paper weights! They are more secure than using shoes and on windy days, very helpful! Card Games- best activity with friends during a picnic! My personal fave is UNO! JAFFA: A taste of Israel on West 3rd street! World of Color: Salvation Mountain!